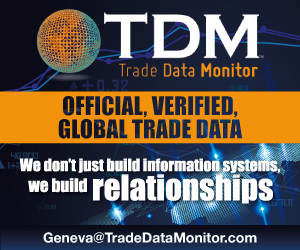 The Paris SIAL (Salon international de l'alimentation, or "international food fair") from 21 to 25 October 2018 showcased the main innovations of the industry. 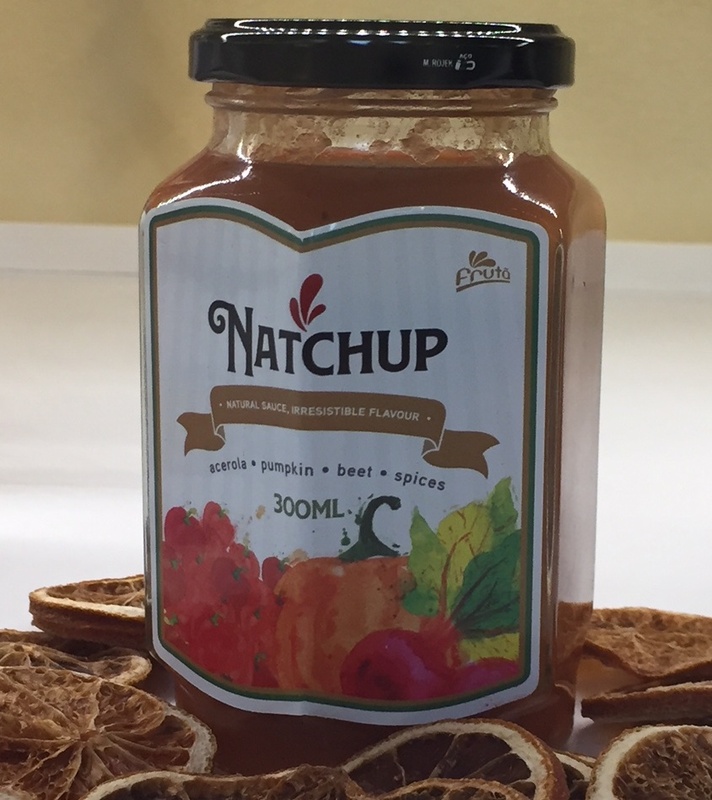 A lot of the products among the main novelties have been designed to make eating a faster experience... whilst promising the same nutrient content as a normal meal. 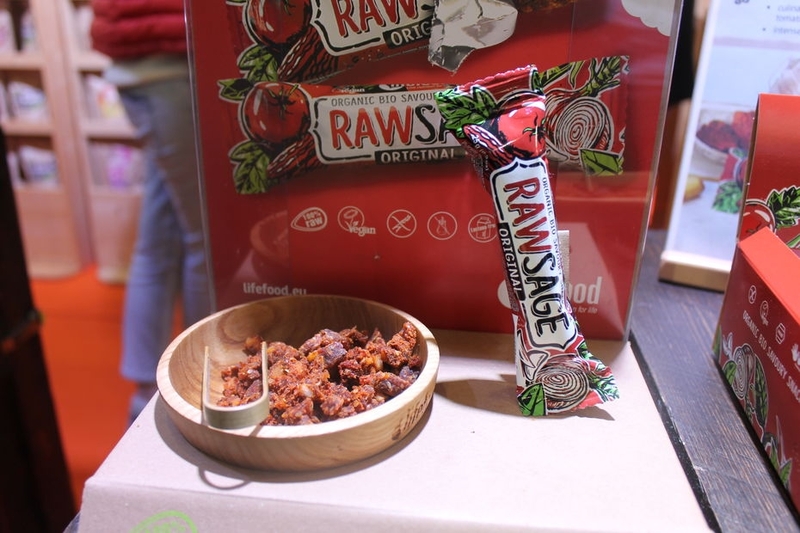 In the dried food category, Czech company Lifefood has launched a number of food-bars, like the "Rawsage", a raw vegan sausage. Looking remarkably like a normal sausage, it is in fact a mix of Brazil nuts, dried tomatoes and herbs. The ingredients used by the factory have already been dehydrated to a level of 42%. The food-bar meets all the currently fashionable expectations: gluten-free, vegan, handmade and raw. Carrés Futés blend cocoa butter and vegetables in a healthy “flavor tablet” that consumers add to sauces and other dishes to make them more healthy and tasty. 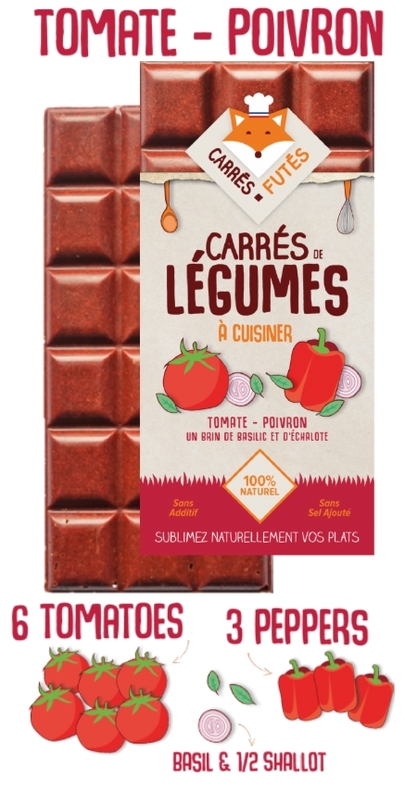 The product, Carrés Futés (which translates as “Smart Bars”), keeps the cocoa butter as the oil base but replaces cocoa beans with whole, dehydrated vegetables. It is produced by CarréLéon, a French start-up that aimed to develop a healthy product that would "revolutionize" cooking. The tablets contain three to five 'kitchen cupboard' ingredients, have a smooth consistency like chocolate and are available in three flavors: tomato, pepper, basil & shallot; leek, celery & fennel; and carrot, beetroot & garlic. All are free from preservatives, color, salt or flavor enhancers. CarréLéon scooped first prize in the 2016 pan-EU food innovation competition, Ecotrophelia, for Carrés Futés, commercializing the product this year. 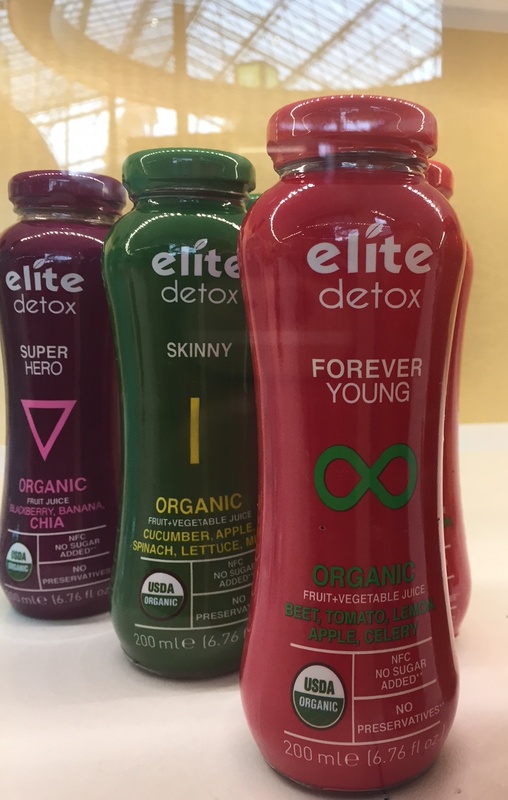 Standing out among the innovative products for the "detox and functional" claims of its fruit juices and organic super foods, as well as for the technology used and the manufacturing process, the Elite Detox range of Turkish company Elite Naturel is made from organic fruit juice and vegetables with detoxifying properties, and no added sugar. The range notably offers a preparation called "Forever Young" made with beetroot, tomato, lemon, apple and celery, and conditioned in glass bottles. It has been granted the organic accreditation of the USDA. 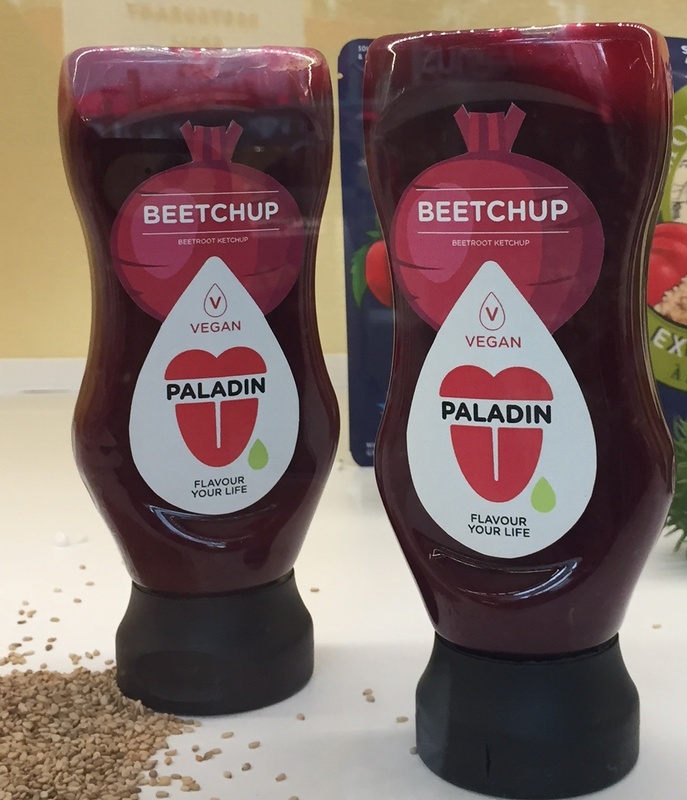 The SIAL 2018 selection also included "beetchup", considered as an innovation "for the novelty of offering beetroot ketchup with a different taste and color from traditional ketchup". 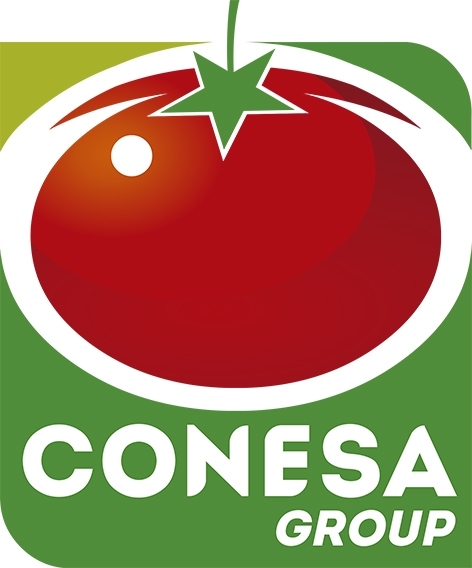 Made by the Portuguese company Mendes Gonçalves, the product is available in the "Paladin" range (which includes a wide selection of several "tomato ketchups" that are made with real tomatoes) in a packaging that has now become the norm for products aimed at large-scale consumption, a 275 ml top-down plastic squeeze bottle. Tomatoes were nonetheless well represented in a number of products that cater to the current vegan or flexitarian trends. 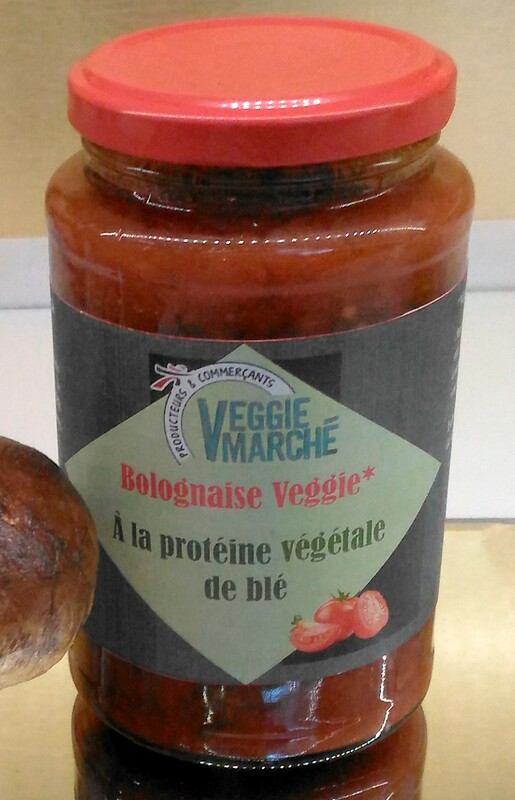 This was notably the case of a "veggie" Bolognese sauce, made by the Mousquetaires group and presented among the products selected for their innovative features and their integration into the current dynamics of plant-based prepared foods, in a general context that has seen a decrease in meat consumption. The recipe replaces meat with wheat protein. 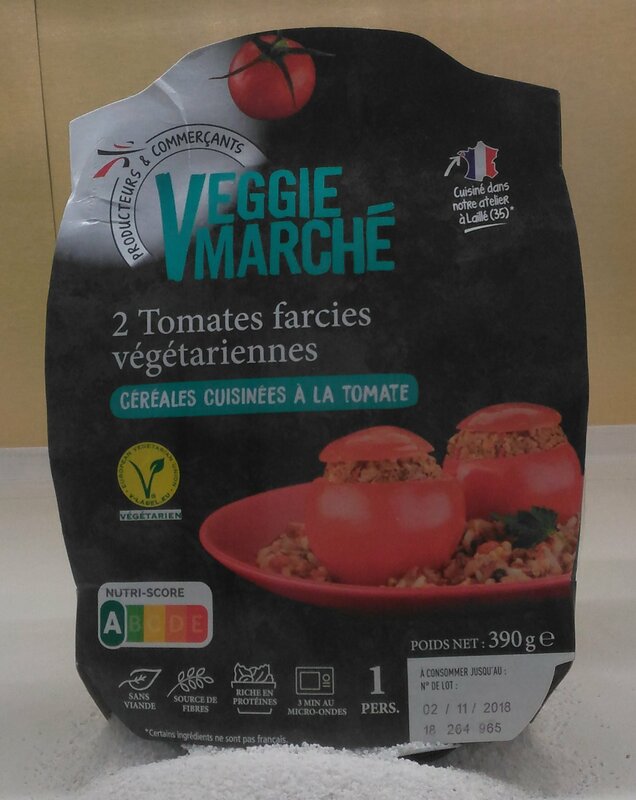 Along the same line, les Mousquetaires have also produced vegetarian stuffed tomatoes, presented in microwavable disposable trays, with high-fiber and high-protein contents (which once again use a replacement for the traditional meat stuffing), selected as an alternative for a typical French dish. 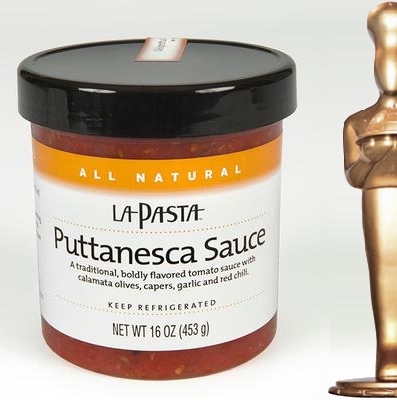 ...but recipient of a first prize for the category "exceptional food specialty" awarded by the US Specialty Food Association, the "Puttanesca" sauce made by Maryland-based company La Pasta Inc., ranked high among the products selected for their quality or their originality in 2018. This sauce is a traditional tomato sauce with a distinctive flavor made with Kalamata olives, anchovies, capers, garlic and pimento pepper, prepared in small batches with tomatoes harvested in California, selected for their perfect balance between sweetness and acidity, and presenting a particularly "home-made" taste.